Apparently written by Baker Knight for Perry Como, but then given to Ray Peterson, who scored a Top 30 US hit in the summer of 1959 (apparently, Ray had a 4 1/2 octave range at the time). 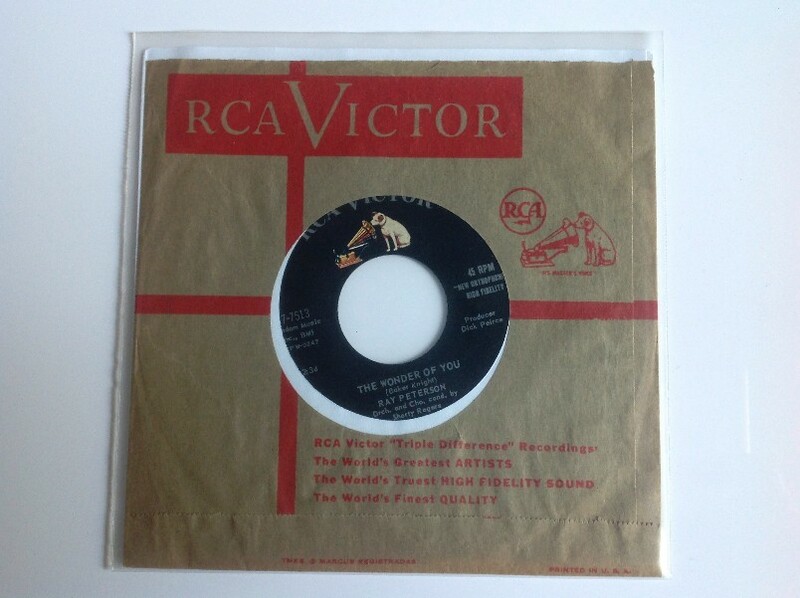 RCA reissued Ray's version in 1964, when it reached number 70 in the US Pop charts. Elvis's version reached considerably higher. Peterson himself relates a telling tale: "He [Elvis] asked me if I would mind if he recorded 'The Wonder of You.' I said, 'You don't have to ask permission; you're Elvis Presley.' He said, 'Yes, I do. You're Ray Peterson.'" Peterson died in January, 2005. Note that the version on the CD "ELV1S 30 #1 Hits" is not that which was released as a single or used on the albums above; instead, it is an inferior version—apparently the compilers didn't notice this error, as there is no indication in the liner notes of it not being the #1 hit version!